During the winter of 1778, as George Washington’s infantry rehearsed the manoeuvers of Baron von Steuben,[1.] 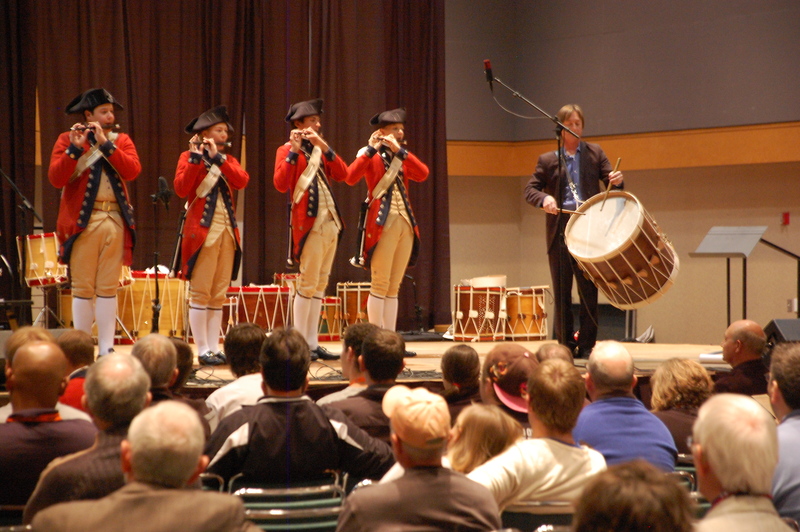 it was the sound of an English drumming tradition that filled the parade ground of Valley Forge. 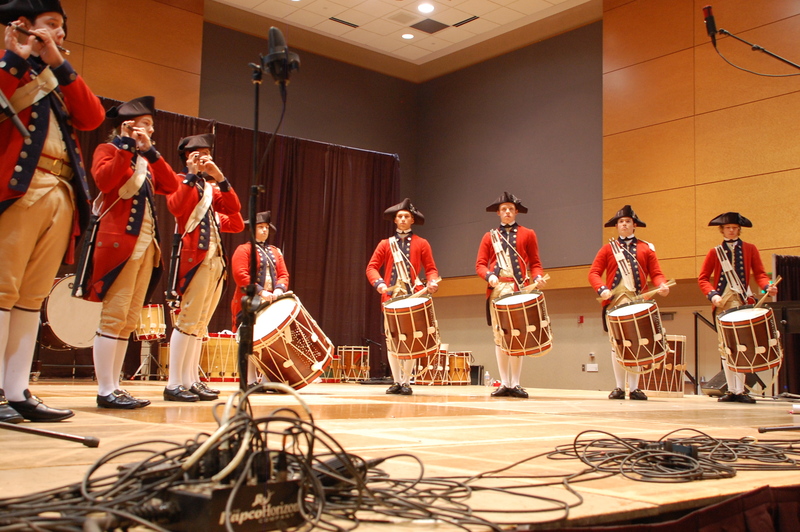 Over time the hand to hand beats played by English drummers had been grouped into short rhythmic patterns, given names, codified and passed on to colonial drummers. Some of the patterns signaled soldiers to perform camp duties such as getting fire wood or water, whilst other patterns directed their movements in battle. In the hands of creative drummers, these patterns could be combined to enliven popular melodies which eased a soldier’s weariness or emboldened fighting men in the face of an enemy. Drummers were required to practice these patterns assiduously. Eventually they were known as the Rudiments of drumming and the drumming style, Rudimental. The word rudiments first appeard in a drum book in 1812. On page 3 of A New Useful and Complete System of Drum Beating, Charles Stewart Ashworth wrote, Rudiments for Drum Beating in General. Under this heading he inscribed and named 26 patterns required of drummers by contemporary British and American armies and militias. The word Rudiment was not used again in US drum manuals until 1862. 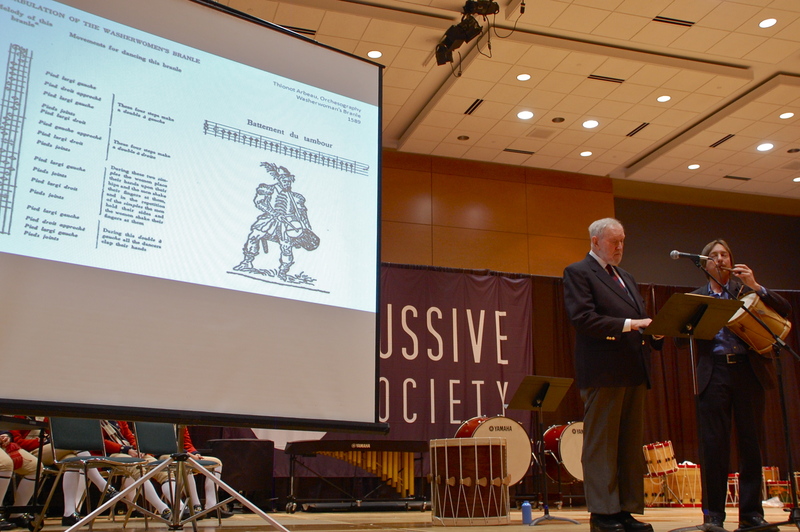 George B. Bruce began page 4 of Bruce and Emmett’s Drummers and Fifers Guide with the words Rudimental Principles. Beginning with the long roll, Bruce listed 35 patterns concluding with a paragraph titled Recapitulation of the Preceeding Rolls and Beats. 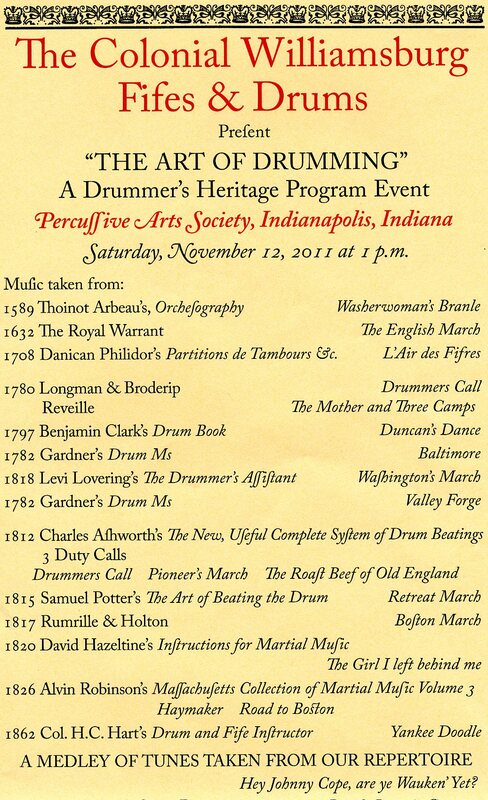 On page 7 of his 1869 Drum and Fife Instructor, Gardiner A. Strube wrote, The Rudimental Principles of Drum – Beating, and followed with 25 examples, each named Lesson. The National Association of Rudimental Drummers (“N.A.R.D.”) was organized in 1933-34. The men of the N.A.R.D. were well known teachers, performers and composers. Some of them had studied drumming with Civil War veterans, whom they referred to as The Ancients. The N.A.R.D. was formed to enhance, preserve and disseminate what in their minds was an endangered style of drumming. They combined Gardiner Strube’s 25 lessons, added the long roll and perhaps for the first time in history, unambiguously declared each heretofore lesson, pattern, beat, or principle, a Rudiment. They called the first 13 rudiments “Essential”. These were used to test applicants seeking membership in the Thirteen Club. Another list of snare drum rudiments was compiled in 2008 by a group of drummers from the Percussive Arts Society (P.A.S.) Marching Percussion Committee. Their compilation contained 38 rudiments of unspecified origin including 24 of the “Hybrid” variety, and the 26 N.A.R.D. rudiments, making a grand total of 64 rudiments. Along side the Flam, my favourites have always been the Ruff and its relative, the four stroke Ruff. These rudiments are to my mind, the most elegant and useful beats in a drummer’s repertoire. The Ruff’s soft R suggests a variety of nuances. The four stroke Ruff, played as a roll can substitute for the five stroke roll. However, the Drag’s consonant D, limits expressions. Even so, the P.A.S. committee changed the name of the Ruff to Drag. Had the N.A.R.D. made their list to read Ruff, Ruff tap and double Ruff Tap, the P.A.S. committee may have followed suit, allowing a continuance to the life of Ruffs. In May of 2011, a group of very good drummers began a contentious and sometimes humorous exchange of e-mails after one of them was criticized for using the word Drag rather than Ruff. If the statute of limitations runs out before I die, I may publish their correspondence. If no agreement exists among some of the best drummers in North America about the number of strokes needed to play a snare drum, might not arguments about Ruffs and Drags be considered akin to bickering? 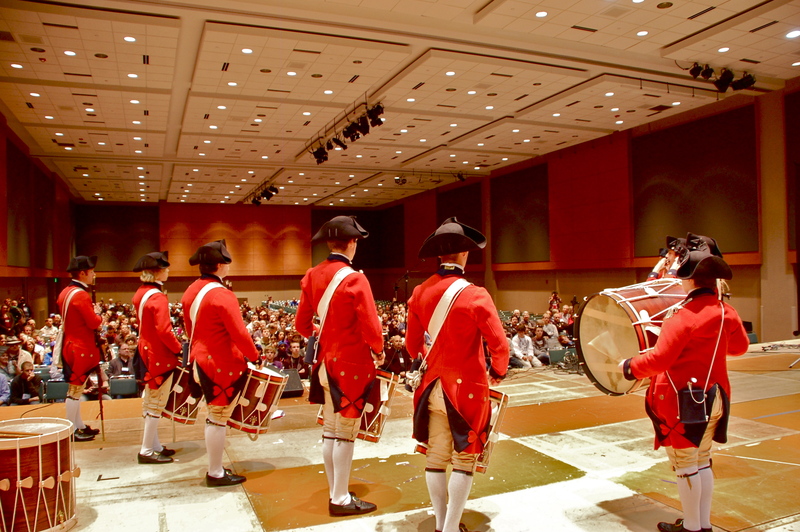 Today, within the ranks of Fife and Drum corps drummers, the Ruff’s proud name, it’s romantic evocation of history and onomatopoetic pedigree survive, but outside that cozy womb of nostalgia, in the brittle, frenetic world of Kevlar heads and carpal tunnel syndromes, the Ruff is only a memory, if that. Now, after its first appearance in print 370 years ago, the Ruff is no longer a part of an academic drummer’s lexicon. The Ruff is dead, Viva la Ruff!! N.A.R.D. 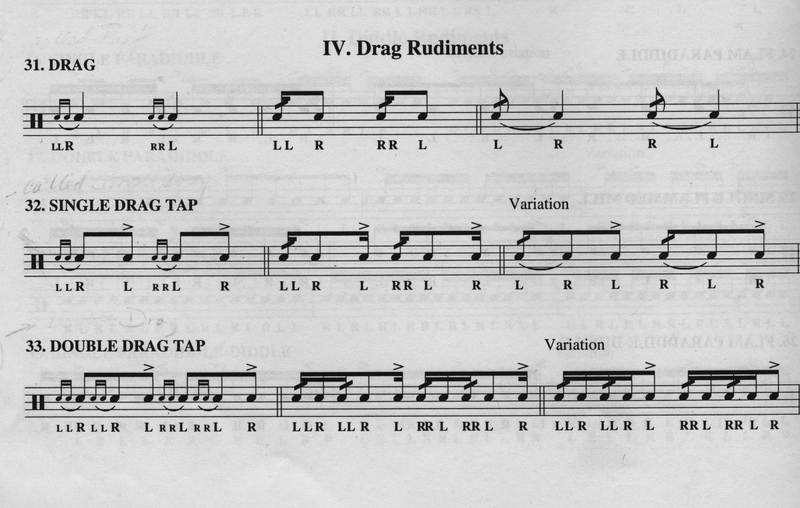 rudiments 8, 9, and 10. [1.] Baron Friedrich Wilhelm Ludolf Gerhard Augustin von Steuben was of Prussian birth and a soldier, though he seems to have awarded himself the title. 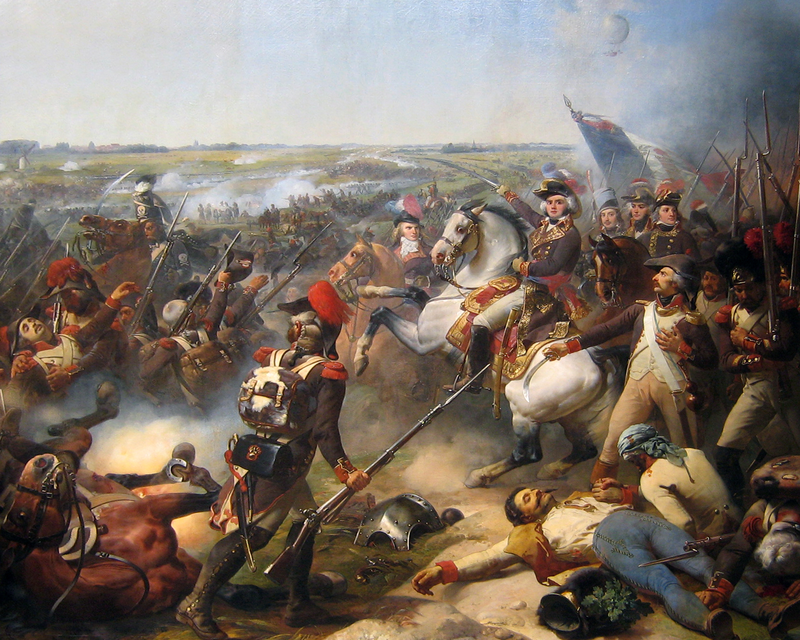 He knew19th century infantry tactics, taught them to the Colonial Army and authored an illustrated compendium of his military learning, popularly known as the Blue Book because of its cover’s colour, but officialy entitled Baron von Steuben and His Regulations. [2.] In fact, the verbal repetition of onomatopoeia was sometimes used to teach musically illiterate young drummer boys. Today it is still used as a kind of verbal short hand. [3,] Jack Pratt used the English language carefully. He took a Master’s degree in English with a thesis about poet John Keats. He was a published member of the New Jersey Society of Poets and taught English in a local New Jersey high school until his retirement. Jack is also a virtuoso performer and prolific composer of drum solos in the so called Rudimental or military style. 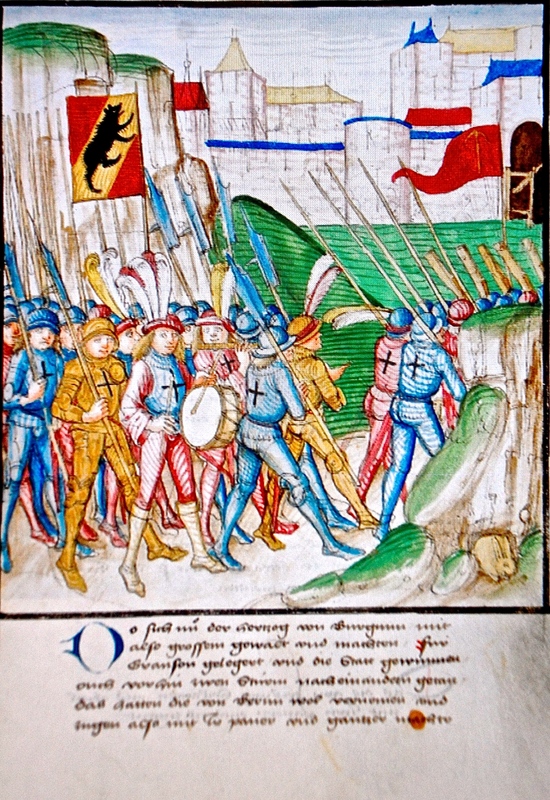 His carefully drawn manuscripts bear witness to his meticulous nature. 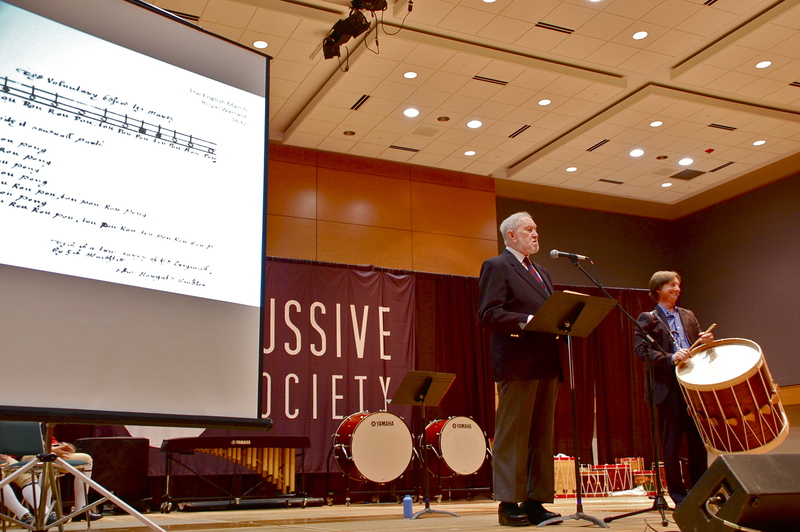 Jack’s lengthy and detailed Percussive Arts Society Hall of Fame acceptance speech is the stuff of legends. A RUFF, ruffe, Rough history. Alas, it’s a Drag. The Ruff: two grace notes preceding a primary note. 1570-1675 – An exalted or elated state. 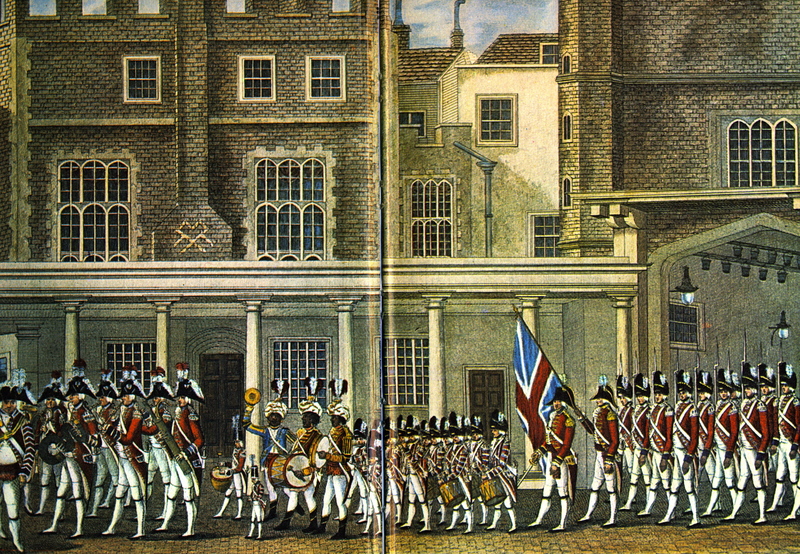 1706 – “The drum beats a Ruff and so to bed.” Farquhar; Recruiting Officer. 1726 – “At the turning of every glass during the night, we beat three Ruffs on the drum.” Shelvocke; Voyage Around the World. The Oxford English Dictionary contains many entries for the word ruff. Of interest to me are three dating from the mid 16th century, a decorative shirt collar or cuff, an expression of applause by making noise with the feet and a beat or ruffle upon a drum. Might the last be the origin of Ruffles and Flourishes, a ceremonial military greeting played in the United States Army by bugles and drums? 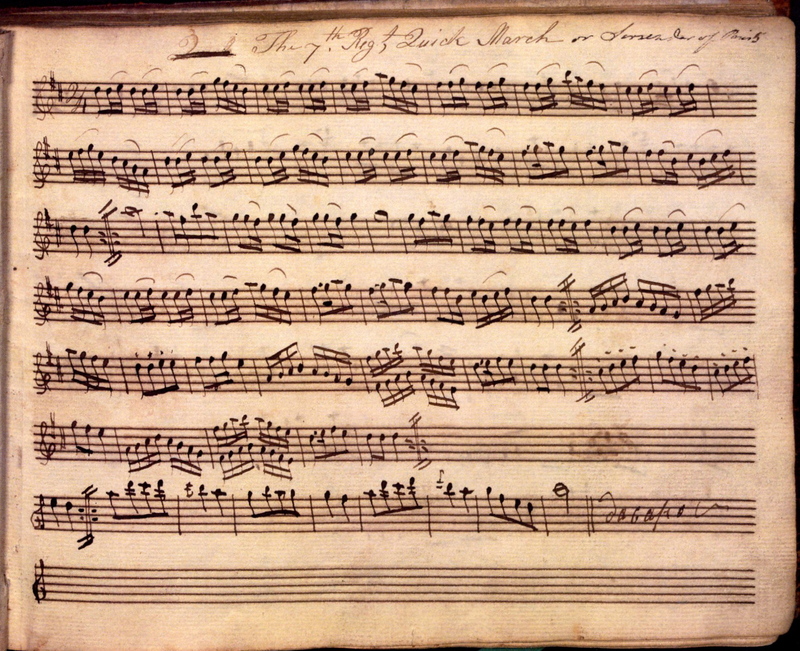 The earliest reference to a Ruff as a drum beat appears in a manuscript titled Thomas Fisher Version dated ca.1634 by the British Museum. Of the six entries, two are single strokes representing the left and right Hands. Four are ruffs: Full Ruff; 1/2 Ruff; Stroke and ruff; and a ruff and a half joined together. All appear in words or letters only. Though not dated, the next appearance of the Ruff is believed to have been in the mid to late 1600s and is titled The grounds of beating ye drum. 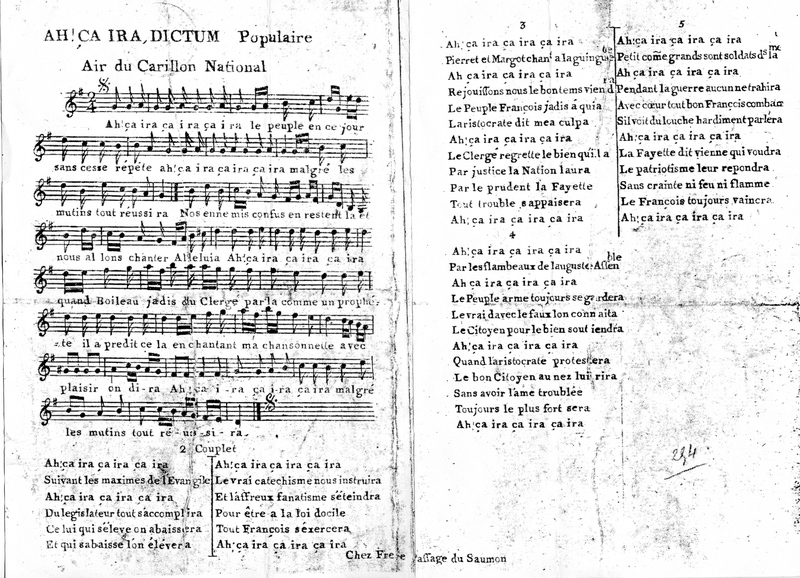 This one page manuscript was discovered inside a book owned by Francis Ducet, pronounced Douse. Among the descriptions of strokes, the following appears: a half ruffe, a whole ruffe, and a ruffe n half. A glyph represents each beat. In The Revolutionary War Drummer’s Book; Massachusetts Historical Society, ca.1778-1810, one finds 18 patterns written in 18th century drum notation.. Among these are the 3-stroke roll; a stroke and two strokes; a ruff 1, 2, 3, 4 quick from hand-to-hand. The Drag: two grace notes preceding a primary note. The Drag first appears as Draggs in Young Drummer’s Assistant, London, ca. 1785. Only one example is given. As engraved, see below, the draggs are identical in execution to Ruffs. The word Ruff does not appear in the book. Between 1810 and 1869, thirteen snare drum manuals, methods or Tutors, are known to have been published in the United States. Only eight of the 13 contain the Ruff. Whereas, the drag and drag combinations appear in all 13. In 1933 the National Association of Rudimental Drummers (NARD) appropriated its list of drum Rudiments from the Gardiner A. Strube . . . a New and entirely Original System of expressing Hand to Hand Drumming. Strube put down 25 Lessons, among them the Ruff, Single Drag and the Double Drag. In 2002 the Percussive Arts Society (PAS) renamed The Ruff calling it without prefix, Drag. The PAS list of drum rudiments can be seen in, Campbell, James: Rudiments in Rhythm, Meredith Music Publications, Maryland, 2002. The NARD list can be seen in, America’s N.A.R.D. Drum Solos; Ludwig Music, Chicago.